I captured this photograph of Punchbowl Falls in the unbelievably stunning Columbia River Gorge after a beautiful hike in. Oregon is a spectacular part of the world and the forests here are so lush even on a clear day there is water dripping from the moss covered valley walls. There are spectacular waterfalls scattered all across the state. The word that always comes to mind when I think of this place is 'fairytale'. For a person from a hot and dry part of the world, these scenes were very foreign to me and they were something I had always wanted to photograph. Now I just can't wait to visit again to explore more! 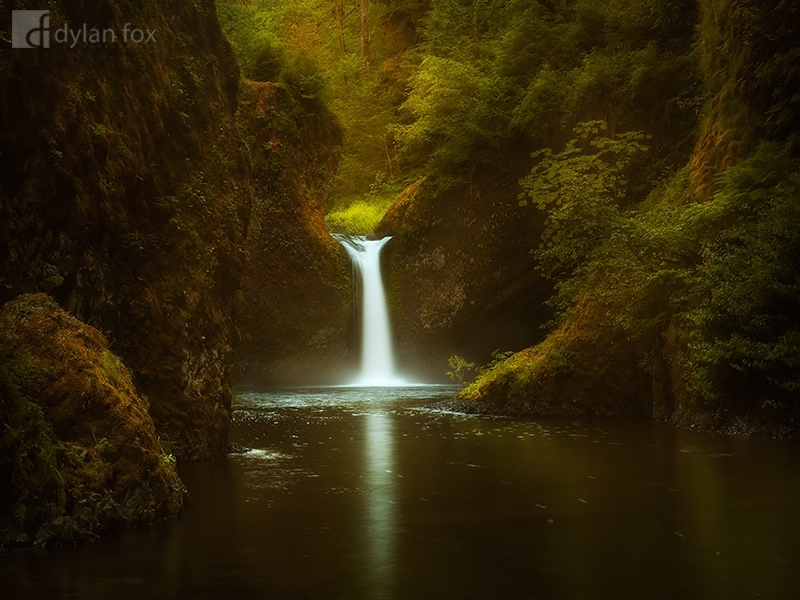 Secure your limited edition, Punchbowl Falls photographic print, 'Valley's Shadow', by selecting your desired print size in the menu to the right.